For those who have looked at this post before, please note that the images have been deleted. This is because it has been pointed out by a sharp eyed viewer that these were made by someone else. I have now moved them to their correct post. But I have left the information about Essexware here for your information. Well folks and followers, here it is, post number one hundred. What better way to mark the occasion than by putting up a post about one of the great small potteries that have gone to God. It is from that short-lived but fabulously collectable Essexware pottery from high in the Blue Mountains of New South Wales. 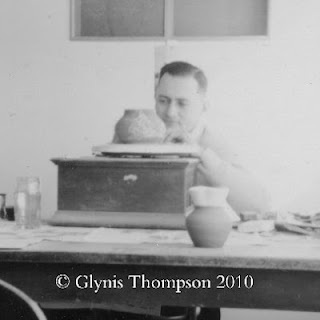 This pottery was started by Gordon and Irene Dunstan in the late 1940s / early 1950s. Gordon Beresford Dunstan was born in the Adelaide suburb of Thebarton in South Australia in 1901, the son of Anthony and Rosina. He was not an English migrant as some sites would have you believe, although his ancestry was Cornish and his father had been a miner at the Moonta copper mines in South Australia. Gordon obviously had an interest in all things military from a young age, as he became a Second Lieutenant in South Australia in the Cadet Corps in 1919. On the 9th October 1939, Gordon put his age back four years to join the Australian Army. He described himself as a Property and Store Manager and Paymaster, and single. The Army was generally wise to these people and would usually put them into non-combat roles. This is what happened to Gordon who became a supply officer. Gordon’s next of kin was his brother, his father having died several years before. He spent part of his service in England, attaining the rank of Major before being demobilized and discharged in early 1947, so if you read that Essexware started as early as 1945, not so. Gordon had enlisted as a Private and quickly rose through the ranks. Somewhere along the way he married. Allegedly Essexware was named after Irene’s home county. 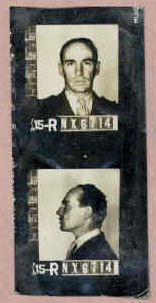 Gordon gave his address as Gladstone Road Leura when he enlisted in 1939. His service record shows him leaving for England and his son Adrian being born there in 1940. He must have been back living in Australia in the late 1940s because he and his wife Irene Joan Dunstan are on the Electoral Roll in Leura in 1949. They are also there in 1954 and 1958. Around 1951 they began their pottery named “Crannagh” in Gladstone Road at Leura, a small town in the Blue Mountains of New South Wales. Named “Essexware” after Irene’s birthplace in England. Essexware began to be advertised in Sydney, New South Wales by mid 1953. Crannagh is a Baronetcy in County Kilkenny, Ireland. Essexware pottery grew and by the mid fifties was employing about ten to fifteen people. Their last Advert in the Sydney papers was in 1954. They must have been doing reasonably well because most of the smaller potteries of the day in Australia could not afford to advertise at all. 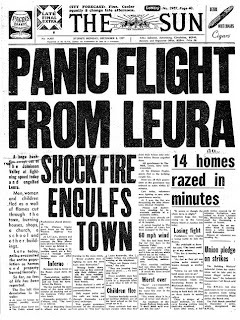 Tragically, Essexware pottery along with over 130 other buildings in Leura were destroyed in the worst bushfires in years in late November / early December 1957. The Blue Mountains are prone to fires; I know because I fought some in NSW back in the sixties. 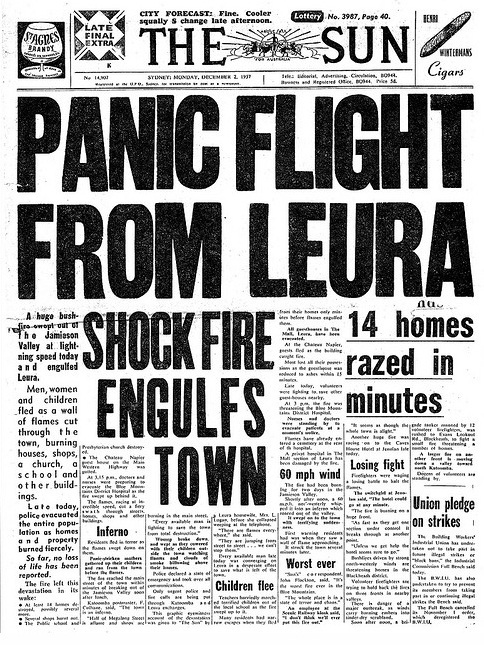 Gordon and family are said to have gone to England after the fire, because he came back to Australia on the Arcadia in March 1958 with his wife Irene and children Anthony and Boris. There is a reference to artist Tom Alban (Thomas William Frederick Stead Alban 3rd March 1887-1978) working there producing the popular Aboriginal designs of the time, but the Alban family website has Tom and his wife living in Leura in “straightened financial circumstances”, so he couldn’t have done too well, even though Australians now collect his work. Tom was born in St Petersburg in Russia and, like Gordon, was a mature age officer during the Second World War. He had been in the British army during the First World War before enlisting in Australia in 1921. Tom arrived in Sydney as a crew-member on the ship “Euripides” on 23rd of October 1919. He is described on the 1925 electoral roll as being an “Artist”. He was also in a supply role in the army, maybe he met Gordon then? 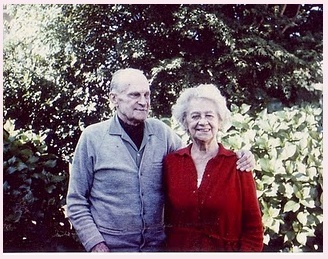 Tom married Christine Beatrice Paul in 1937. They lived in Abbey Street Leura, the house not being one destroyed in the bushfires. Tom had lived in Queensland and Victoria before moving to New South Wales. Christine ended her days in a War Service Home. Gordon died in March 1971 at Colchester, Essex, England. I am now not sure that these ramekins were made by Rudolph Planter who worked for Essexware. The signature on the bottom appeared to be “Planter Australia” but turned out to be "Pravda". The colour and pattern was, I thought pure Essexware. Rudi is a bit of a mystery because he doesn’t appear on any Electoral Rolls or immigration records. There is a Rudolph Planter, Teacher, appearing in Victoria in 1958, after the bushfires. It may be that Rudi came to Australia from New Guinea after the First-World-War. Many Germans who were former plantation owners, or Planters, came here in the early 1920s. If you look them up on the National Archives, you could be forgiven for mistaking them as all being named Planter. Who was Rudi really? Photo of Rudi from Essexware Musings. Aboriginal people are very particular about designs, their jurisdiction and use in their works, but in the fifties, our potters were not. These fake aboriginal designs were very popular with homemakers of the time and for about fifteen years they appeared everywhere. This caused offence to the Aboriginal people who at the time did not have voice in national affairs. Sometimes an Aboriginal artist must serve a long “apprenticeship” before they can even begin to paint. Copyright was something they knew little of and protection of a design was unheard of and difficult to establish. Now, Aboriginal people are concerned with the mass marketing of tourist kitsch by their own people. There was an explosion in the use of these faux aboriginal motifs following the wildly successful royal tour in 1954 when these designs appeared everywhere. The Rameking is old enough to remember this tour but not the decorations. You might not be aware that in about 1954 there was also a 2 page article about Essexware, with pictures of some of the staff and pottery in the Australian AM magazine (I have been informed that was the name of the magazine). We used to have a copy of the article around our home when I was young and I have seen the article but unfortunately over time the pages have disappeared. Just wanting to check with you about the mug shot above ..... is it of Gordon Beresford Dunstan .... ?? Yes, it is from his Army record. This is worth a read on the Dunstans! There's a pic of Aubrey Dunstan, too !!! It explains a bit more about the ESSEXWARE name.